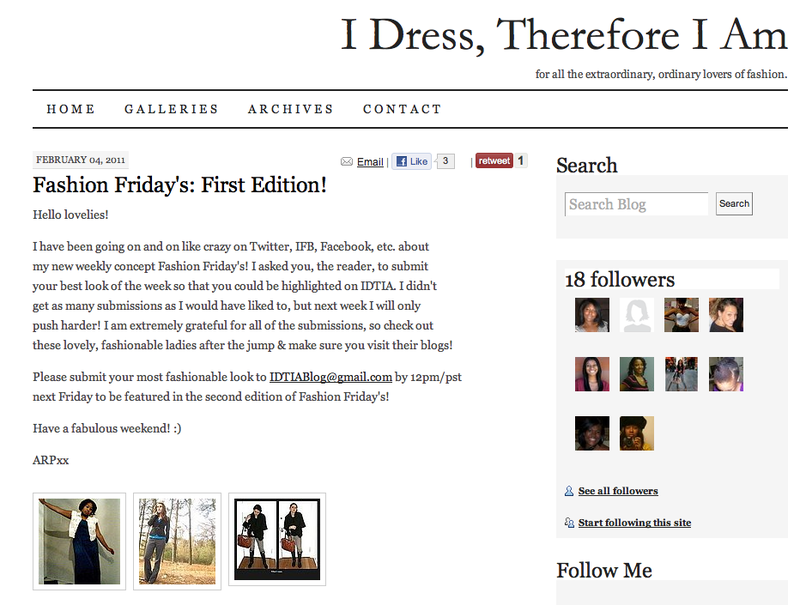 Today I was featured on Alexa's blog, I Dress Therefore I Am . 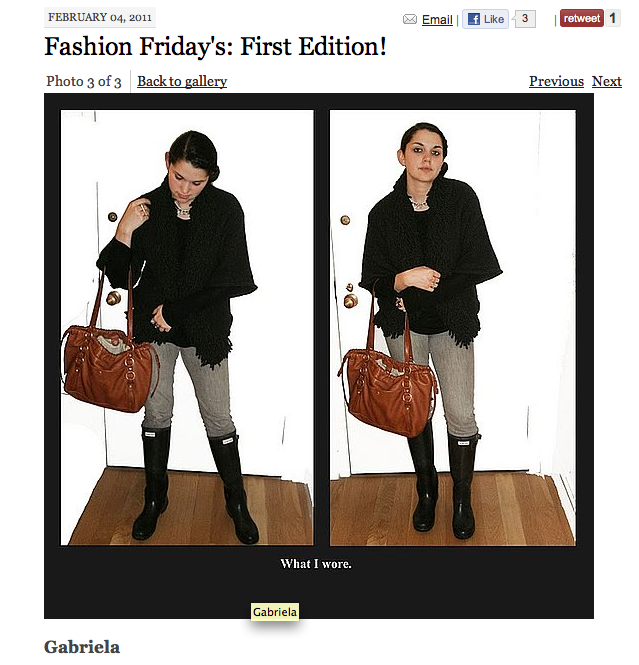 I am so appreciative to be posted on her site! She is doing a really great competition every Friday where she chooses her favorite posts sent in by fellow bloggers throughout the week. Everyone should definitely enter; it's really a great idea to unify us bloggers! Check out Alexa's site and the rest of the post here.